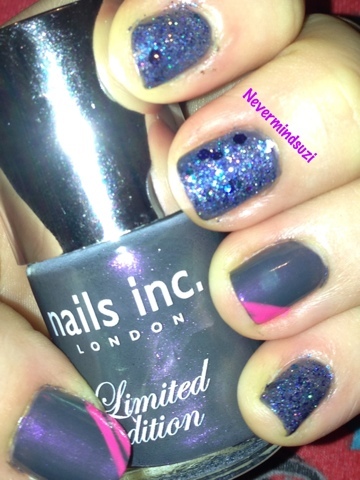 Old Bond Street is a grey/purple duochrome which I was lucky to buy off a friend as it was Limited Edition. 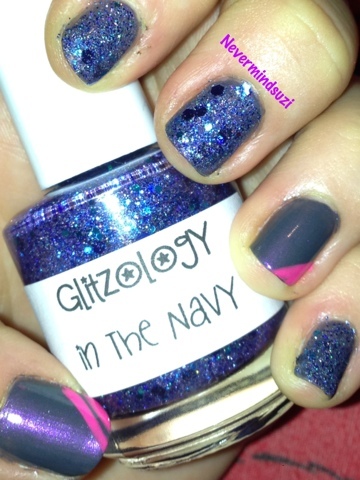 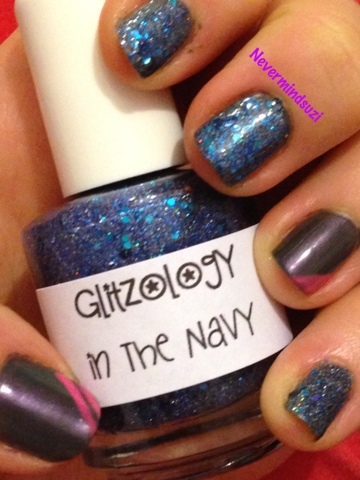 In the Navy is another BLUE glitter =) except this is a fine glitter. 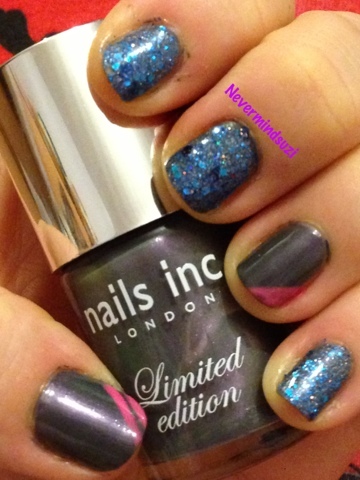 Silver shimmer, blue glitter, teal hexes and navy hexes, this is to DIE FOR!